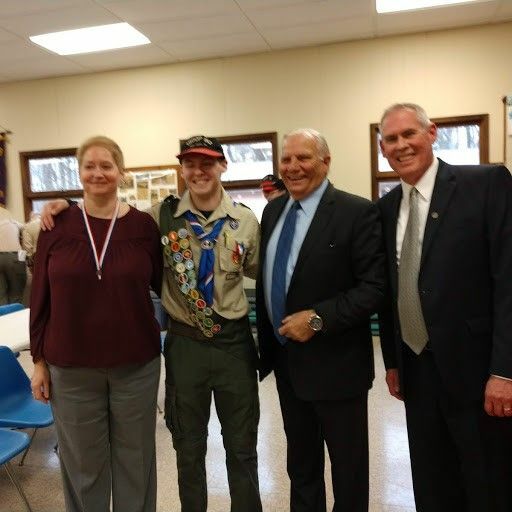 November 24, 2018 – Senator Mensch congratulated Alexander Hotchkiss on his Eagle Scout Court of Honor. 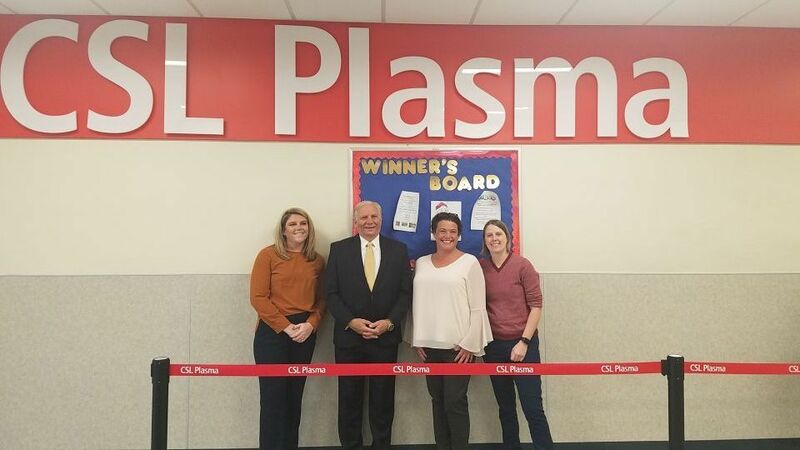 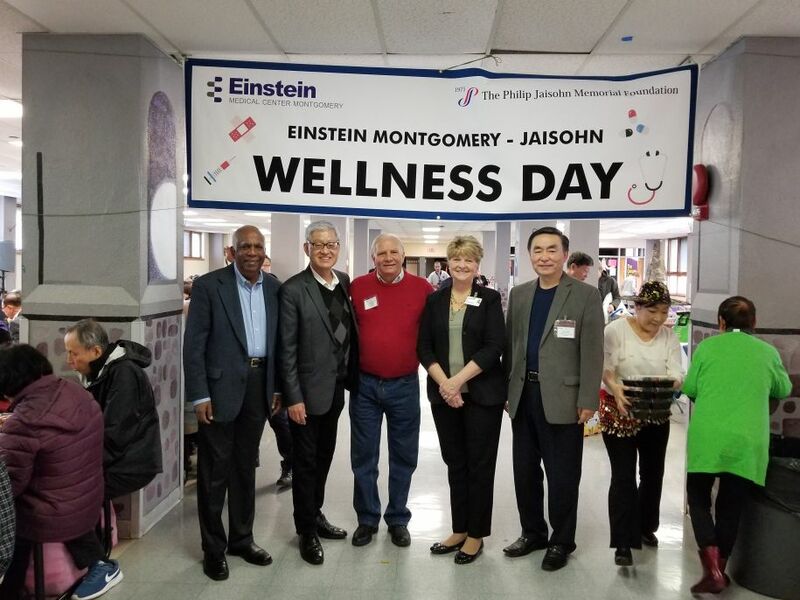 November 20, 2018 – Senator Mensch toured the CSL Plasma Center in Philadelphia. 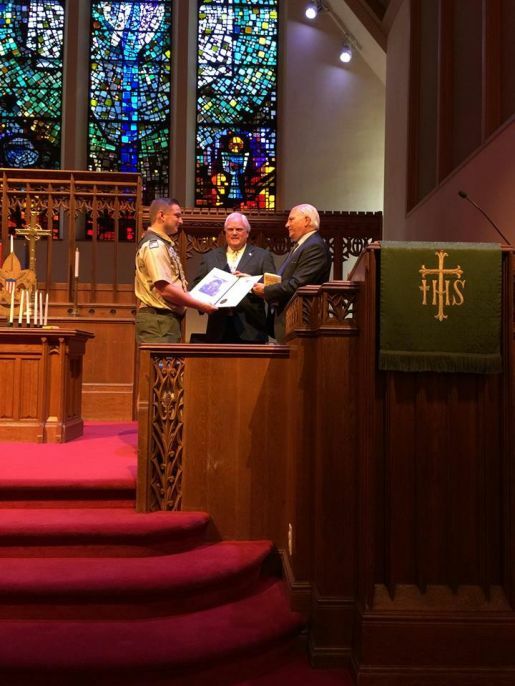 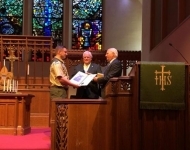 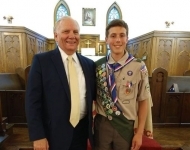 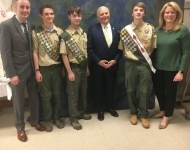 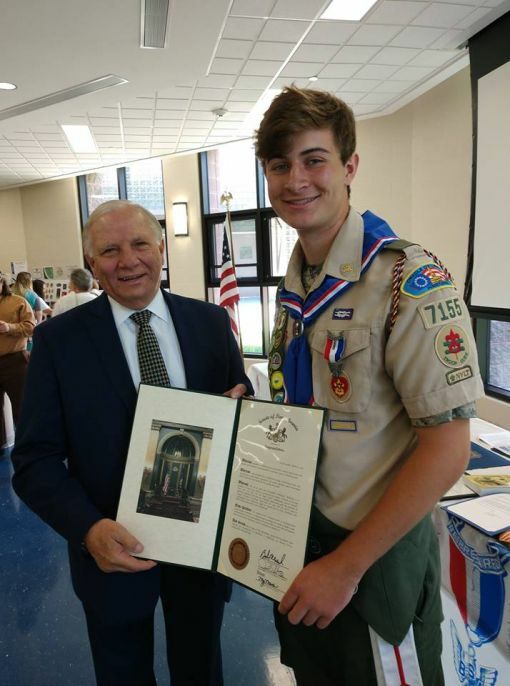 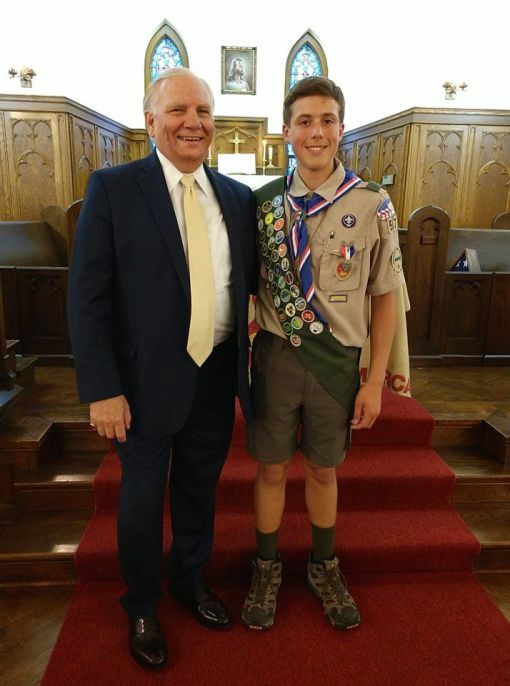 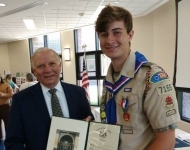 November 18, 2018 – Senator Mensch congratulated Nicholas Bakey on his Eagle Scout Court of Honor. 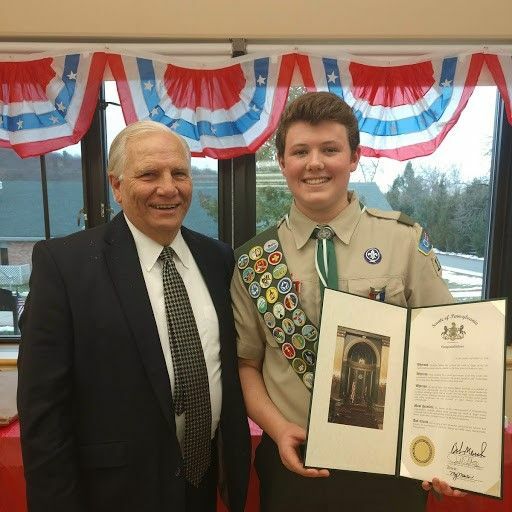 November 18, 2018- Senator Mensch congratulated Nicholas Bakey on his Eagle Scout Court of Honor. 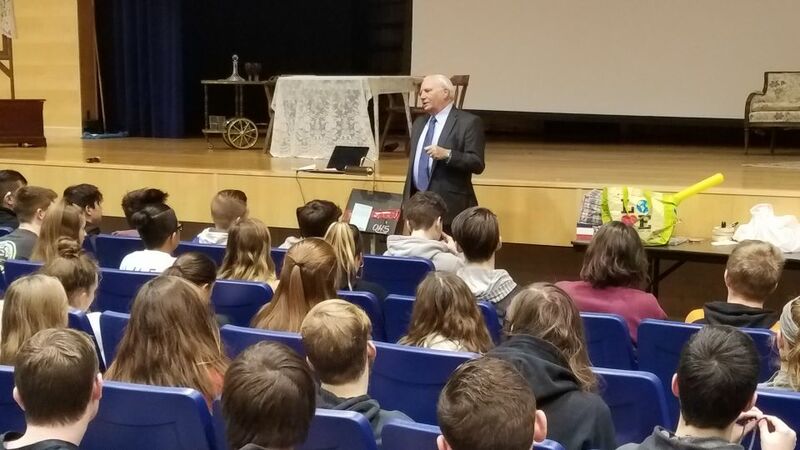 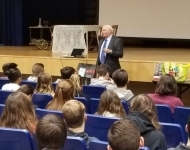 November 13, 2018 – Senator Mensch enjoyed speaking with the government class students at Quakertown Community High School. 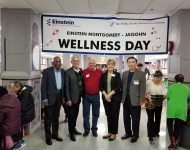 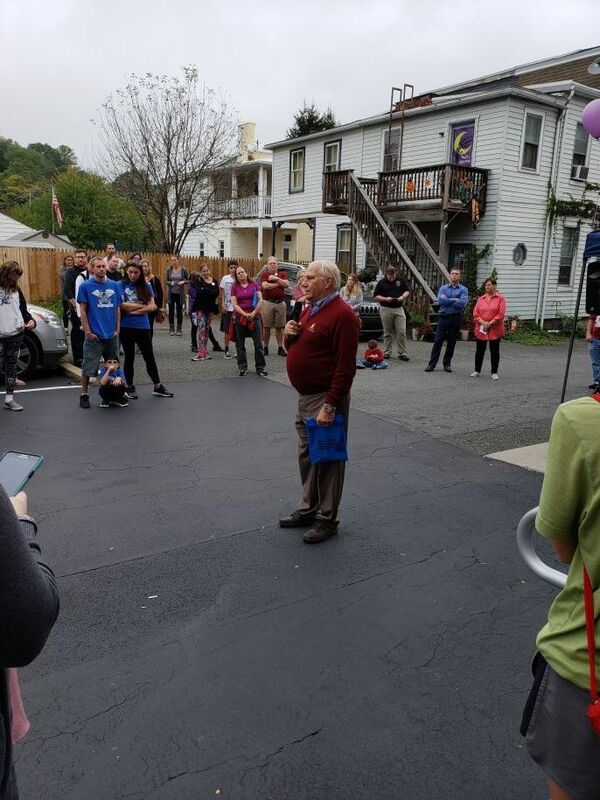 October 27, 2018 – I was honored to participate in the 2018 Einstein Montgomery - Jaisohn Wellness Day event. 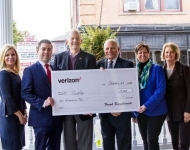 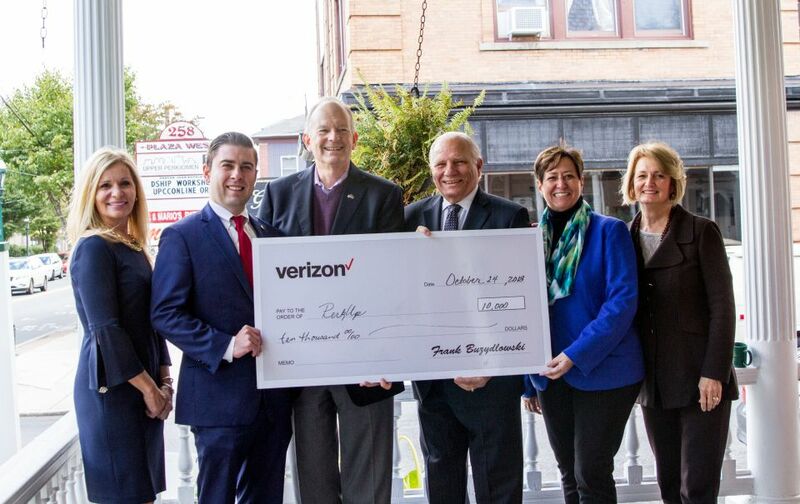 October 24, 2018 - Senator Mensch joined PA State Rep. Marcy Toepel and PA State Rep. Justin Simmons and help present the 2018 Verizon Grant to PerkUp. 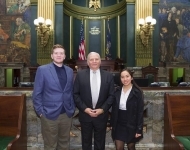 October 15, 2018 - Senator Mensch was honored to host the PA Senate Guest Chaplain Mr. Ryan Kiefer. 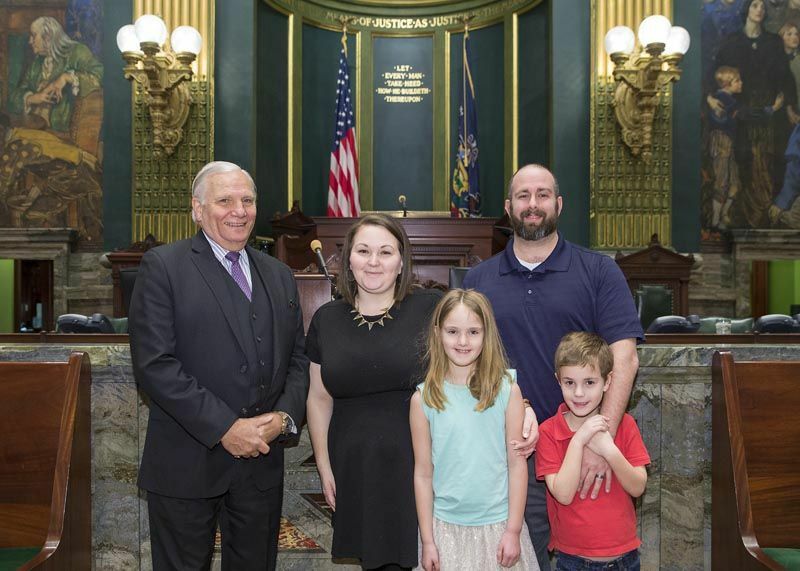 Ryan was joined by his wife Erin and their three children: Chris, Seth and Neva. 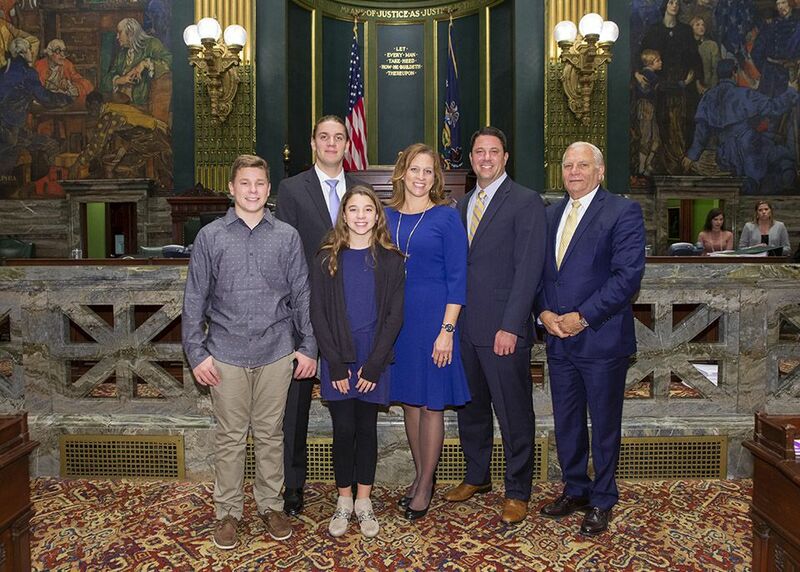 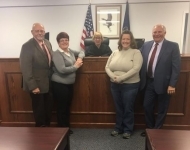 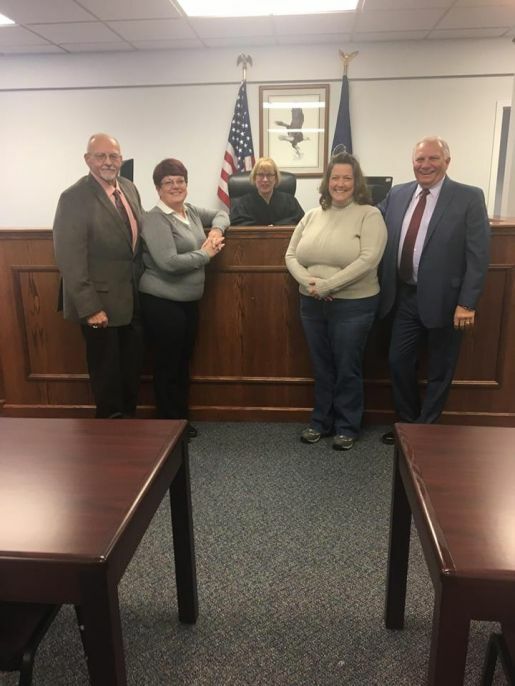 October 15, 2018 - Senator Mensch was pleased to introduce the Hofke family to the PA Senate. 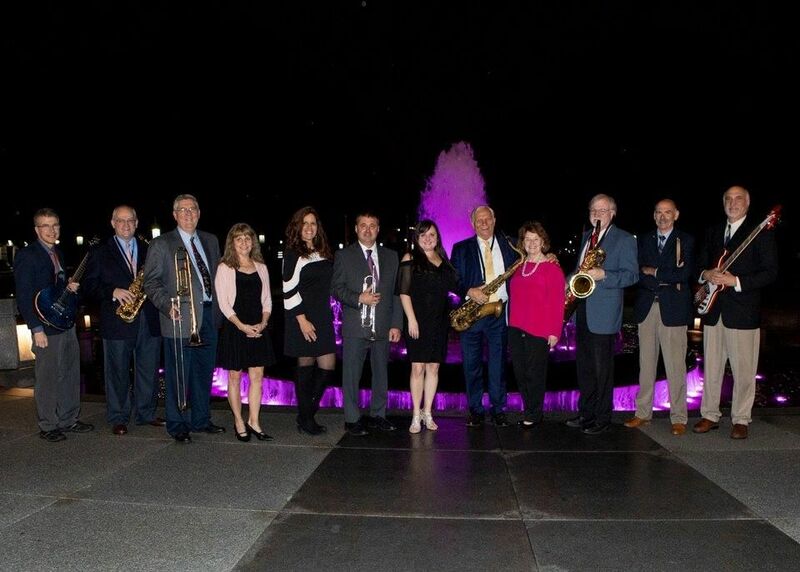 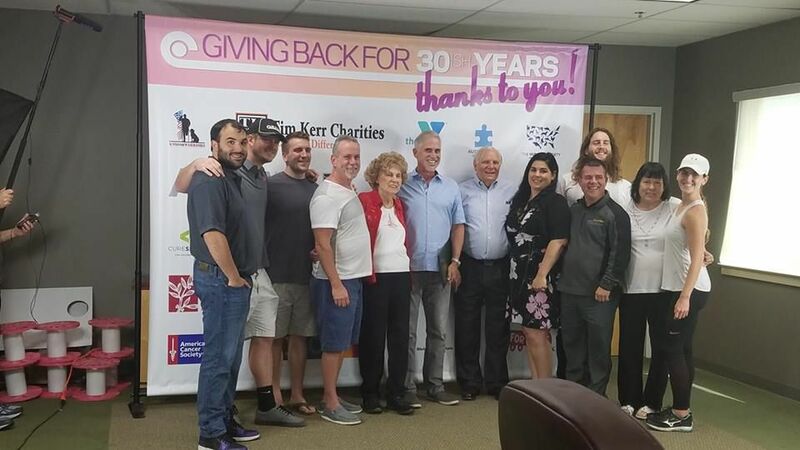 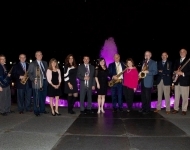 October 15, 2018 - Senator Mensch held his annual Jazzing Up the Capitol event which helped raise funds and awareness for the PA Breast Cancer Coalition and the PA Prostate Cancer Coalition. 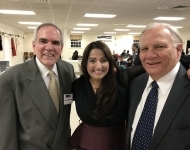 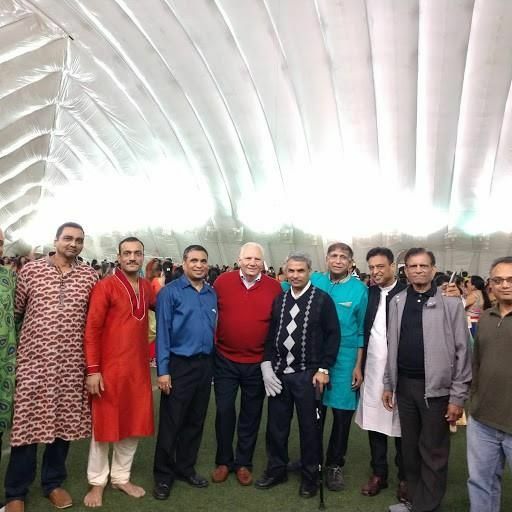 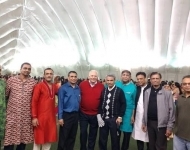 October 13, 2018- Senator Mensch appreciated the opportunity to attend the Garba and Dandiya Raas celebration in Lansdale. Senator Mensch met with Pat Halpin-Murphy, President and Founder, from the Pennsylvania Breast Cancer Coalition. 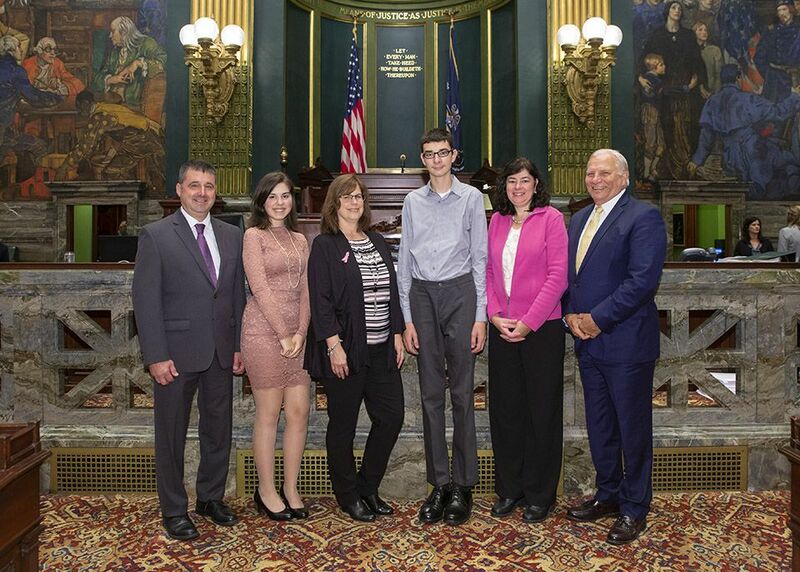 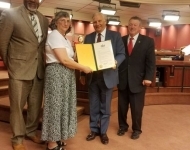 Senator Mensch introduced a resolution recognizing October 12, 2018 as Metastatic Breast Cancer Awareness Day in Pennsylvania. 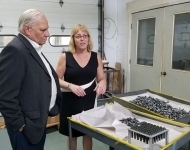 October 9, 2018 - I enjoyed touring Titanium Finishing Company with Melanie Cunningham in East Greenville yesterday. 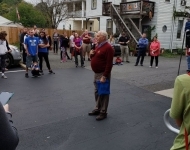 October 6, 2018 - Senator Mensch enjoyed attending the ground breaking ceremony for Quakertown's Skate Park. 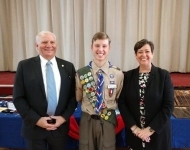 July 8, 2018 - Senator Mensch congratulated Julian Weber on his Eagle Scout Court of Honor. 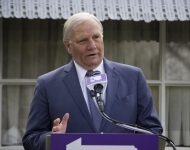 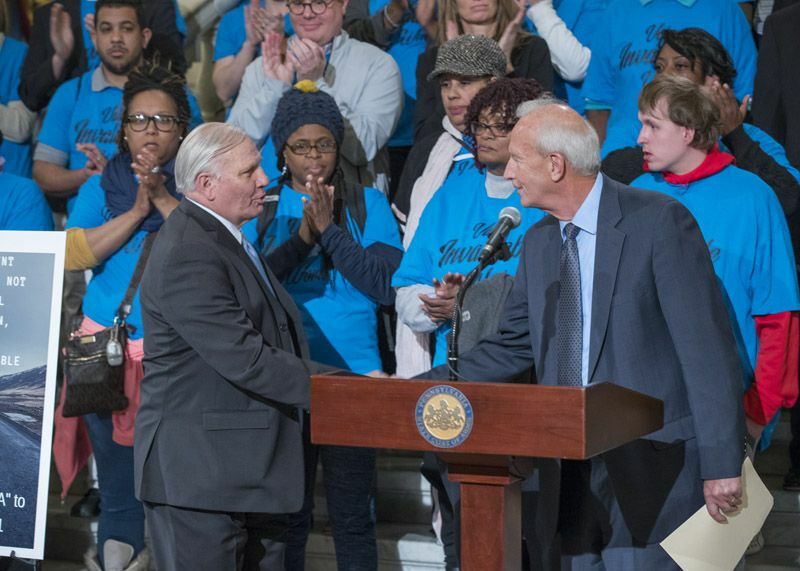 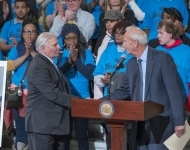 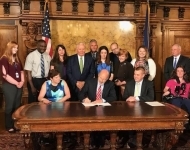 June 20, 2018 - Legislation championed by Sen. Bob Mensch (R-24) to promote the employment of people with disabilities at competitive wages in Pennsylvania received final legislative approval and was signed into law. 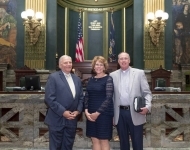 June 13, 2018 - Senator Mensch introduced the Guest Chaplain of the PA Senate - Pastor Dave Kratz. 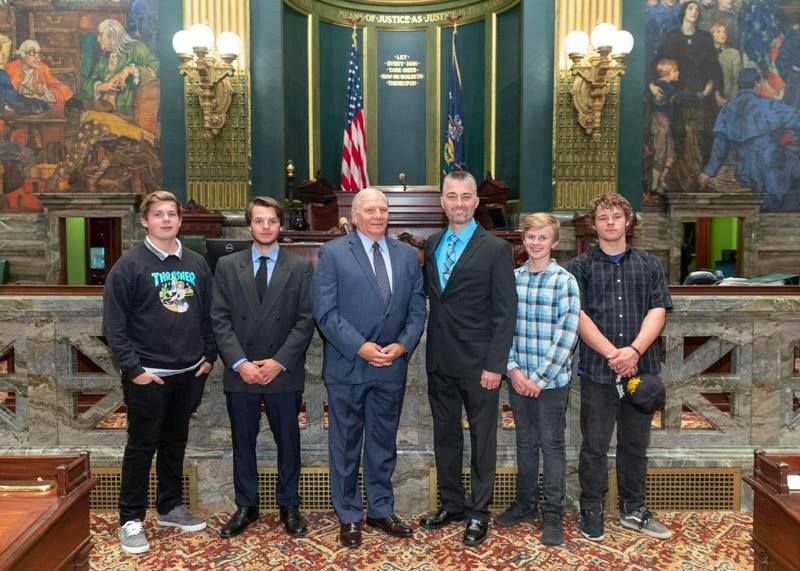 Pastor Dave Kratz was joined today by students from Quakertown’s Middle and High School who are also part of the Free Fall Action Sports Team: Logan Brezner (Junior), Mark Krenzel (Junior), Braxton Johnson (Sophomore), and Connor Matusek (8th Grade). 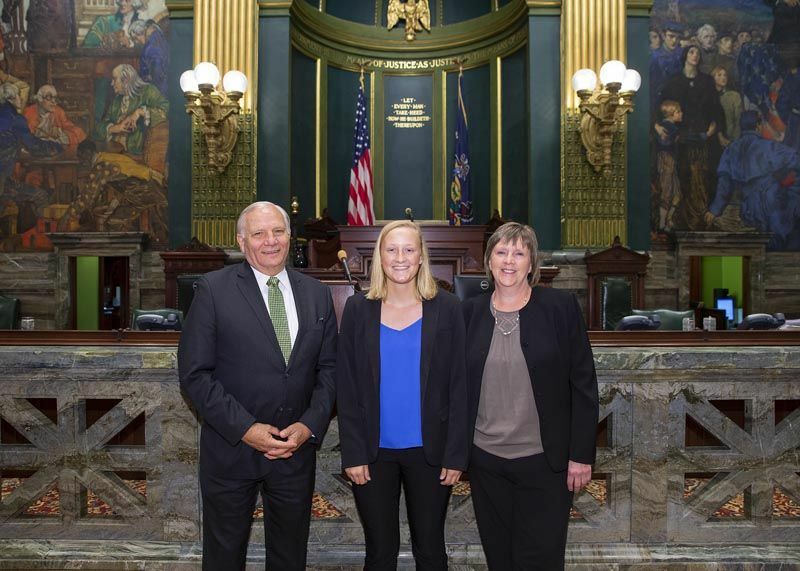 June 12, 2018 - Senator Mensch welcomed Allison Ritting to the PA Senate. 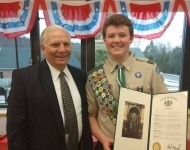 Allison is interning in his Red Hill District office. 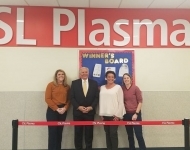 Allison was joined by her mother, Lori Ritting. 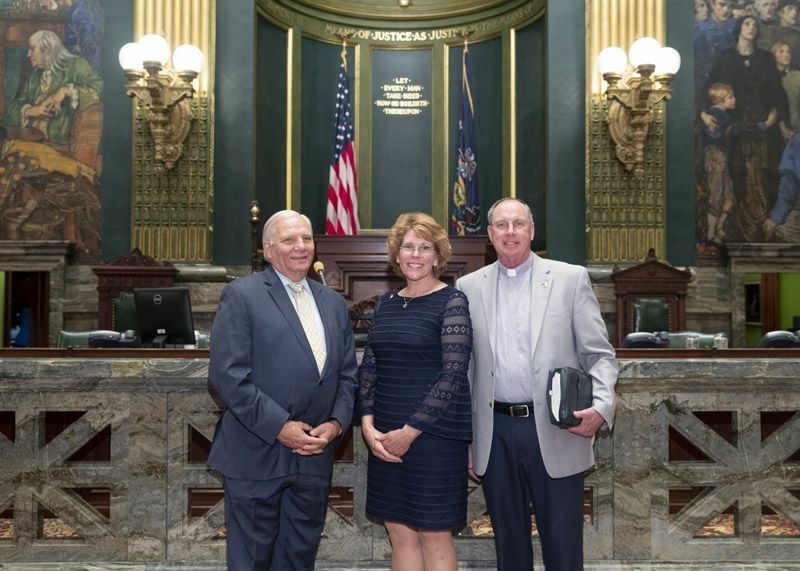 June 11, 2018 - Senator Mensch introduced Guest Chaplain of the PA Senate - Pastor Dave Kratz. 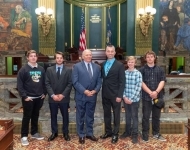 Pastor Dave Kratz was joined by students from Quakertown’s Middle and High School who are also part of the Free Fall Action Sports Team: Logan Brezner (Junior), Mark Krenzel (Junior), Braxton Johnson (Sophomore), and Connor Matusek (8th Grade). 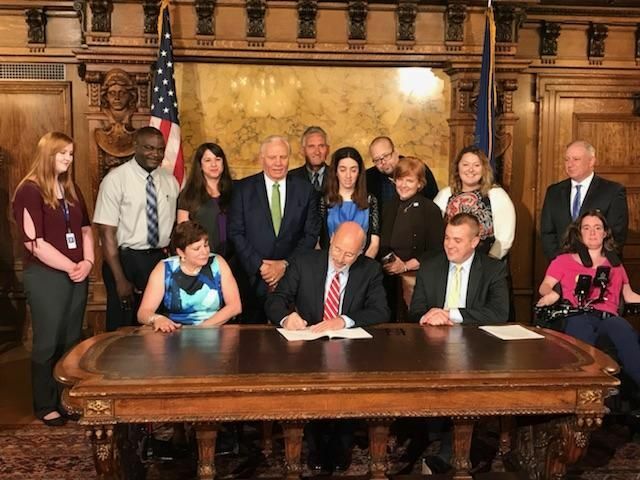 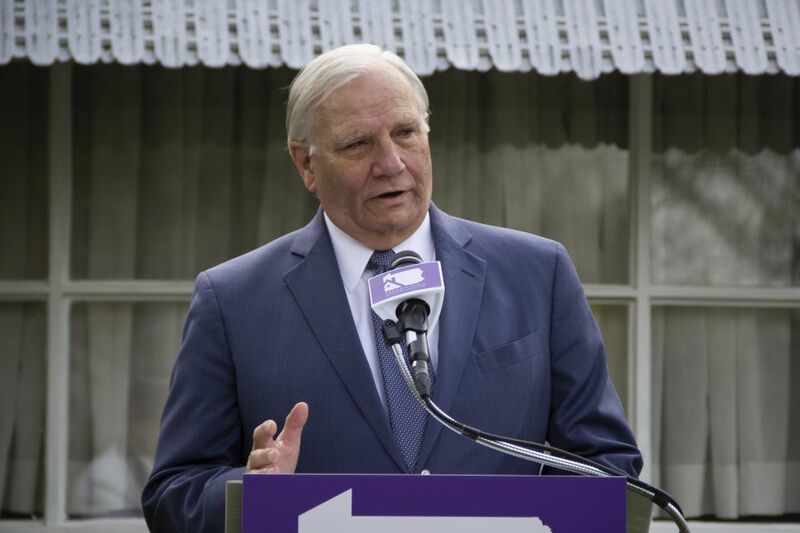 June 8, 2018 - Senator Mensch held a press conference regarding his SB 1092 which would lead to tougher sentences for crimes of domestic violence committed in front of children. 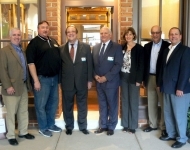 June 7, 2018 - Senator Mensch congratulated Allied Wire and Cable on their 30th Anniversary. 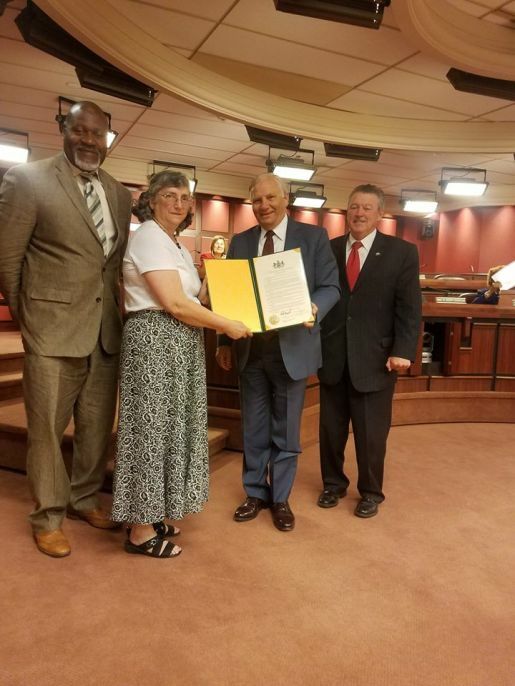 June 6, 2018 - Senator Mensch congratulated Terry Beam on her retirement from the Legislative, Budget and Finance Committee. 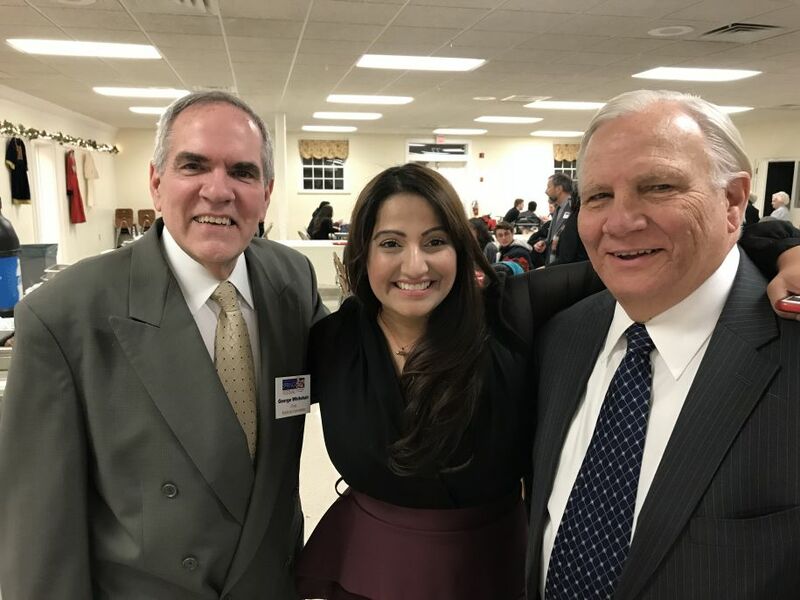 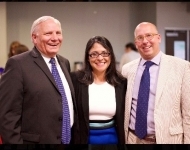 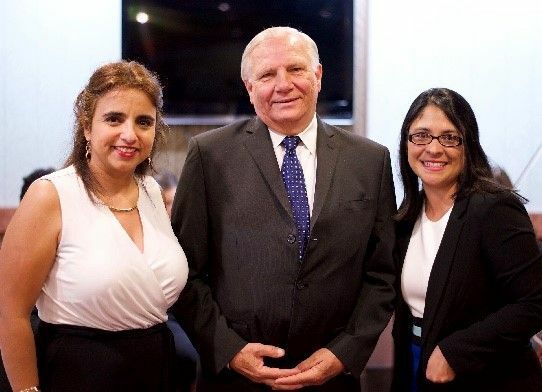 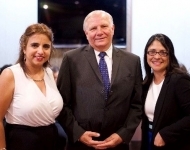 May 31, 2018 – Senator Mensch appreciated the opportunity to speak at ArCoNet - The Arts & Community Network's annual fundraiser. 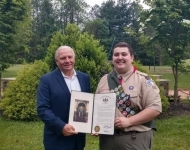 May 27, 2018 - Senator Mensch congratulated Connor Haire on obtaining the rank of Eagle Scout. 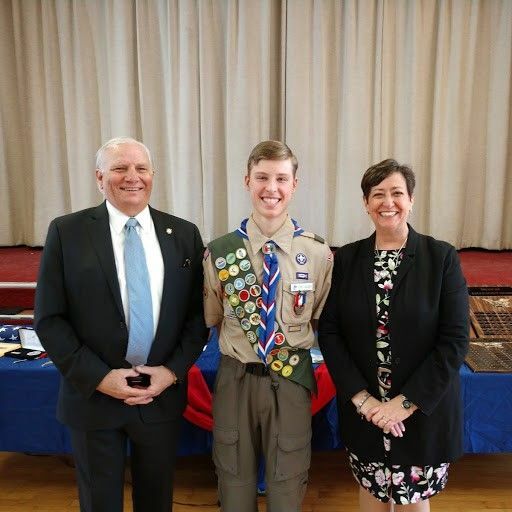 May 26, 2018- Senator Mensch congratulated Matthew Hallissey on obtaining the rank of Eagle Scout this past weekend! 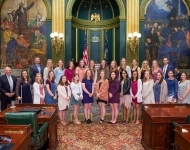 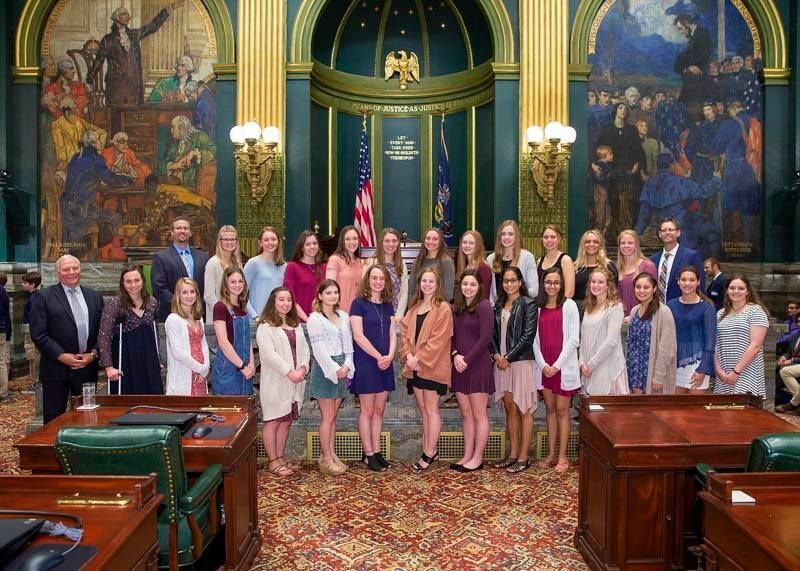 May 22, 2018 – Senator Mensch was pleased to welcomed the North Penn Girls Swimming and Diving Team and their coaches to the State Capitol to celebrate their 2018 state championship title. 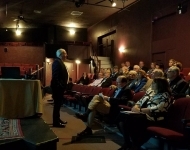 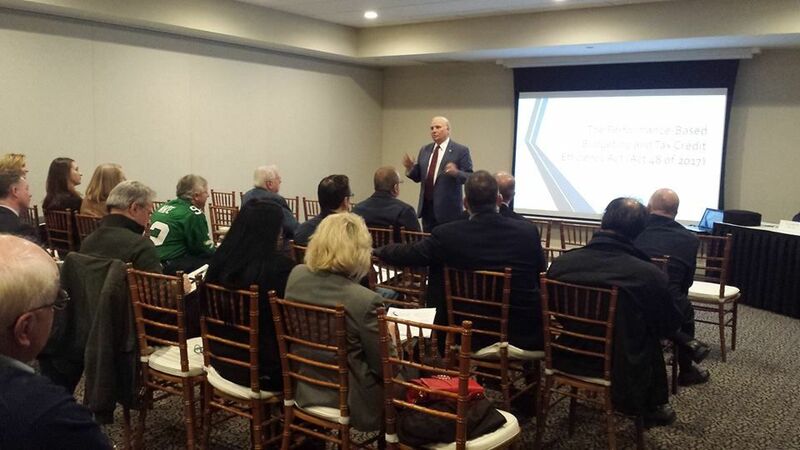 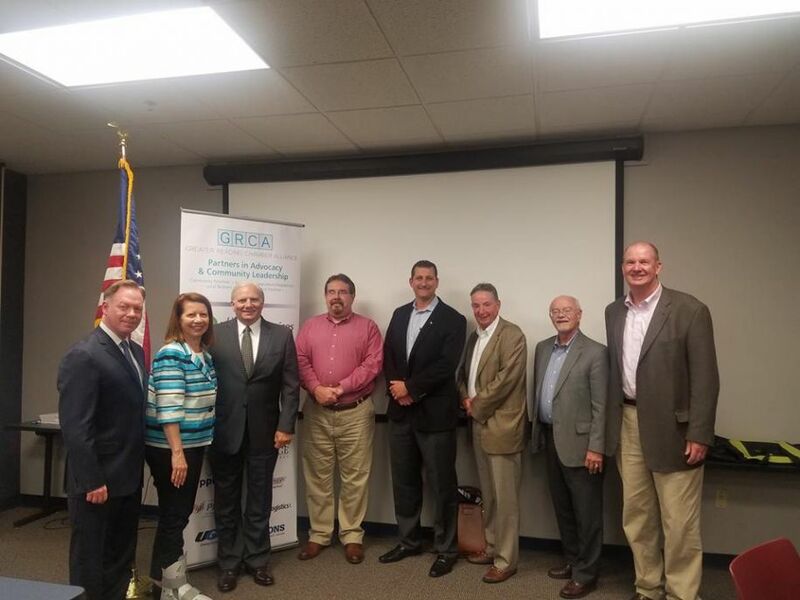 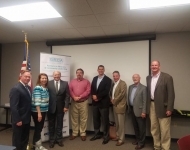 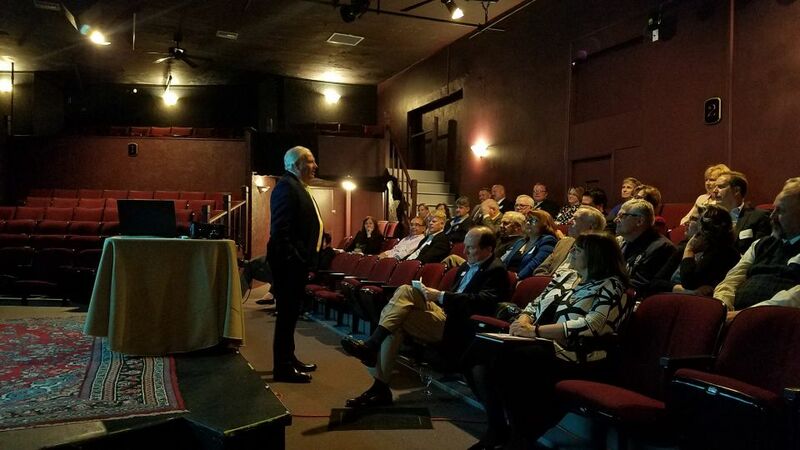 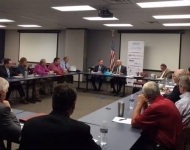 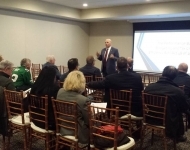 May 18, 2018 – Senator Mensch appreciated the opportunity to speak with Greater Reading Chamber Alliance's Business and Community Advocacy Council on May 18 about his Performance Based Budgeting legislation and additional economic initiatives. 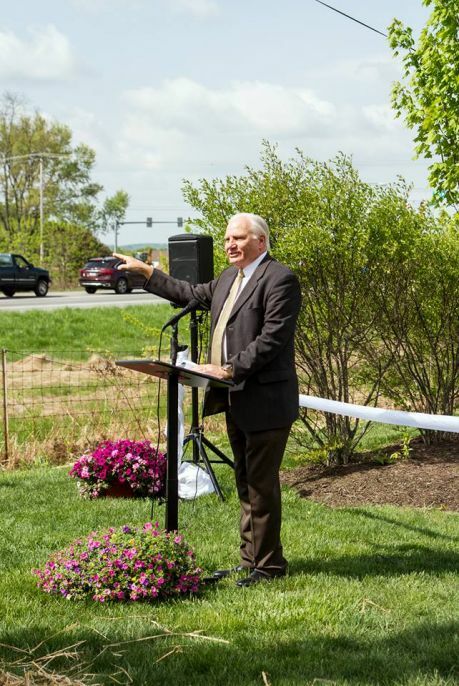 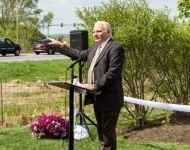 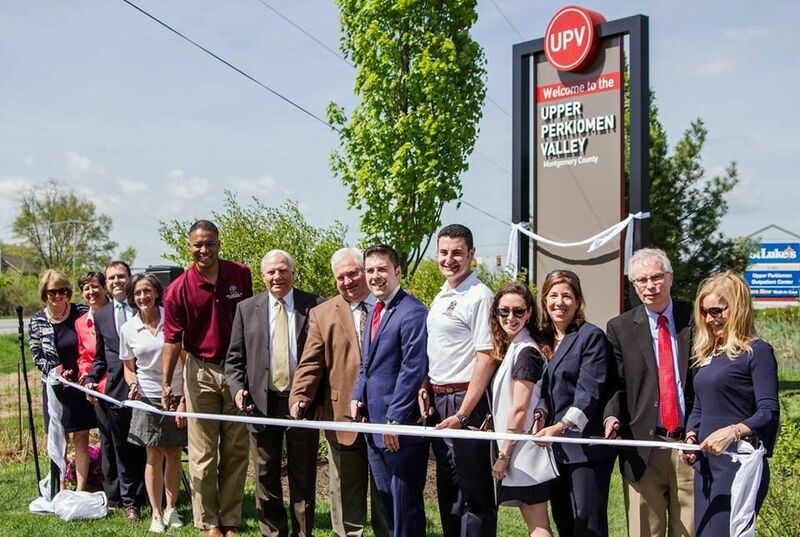 May 11, 2018 – Senator Mensch attended PerkUp’s ribbon cutting for the Upper Perkiomen Valley Wayfinding Project. 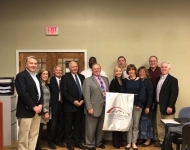 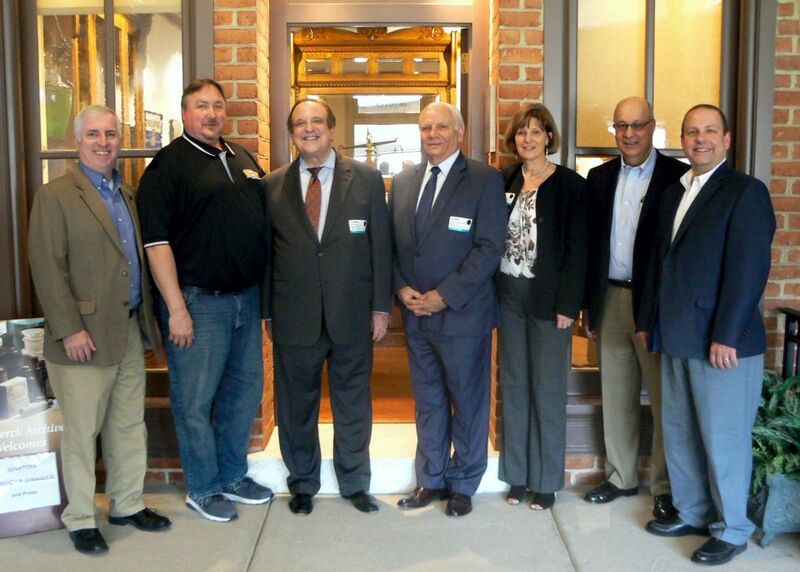 May 11, 2018 - Senator Mensch spoke at the Upper Perkiomen Valley Chamber of Commerce’s Legislative Affairs breakfast. 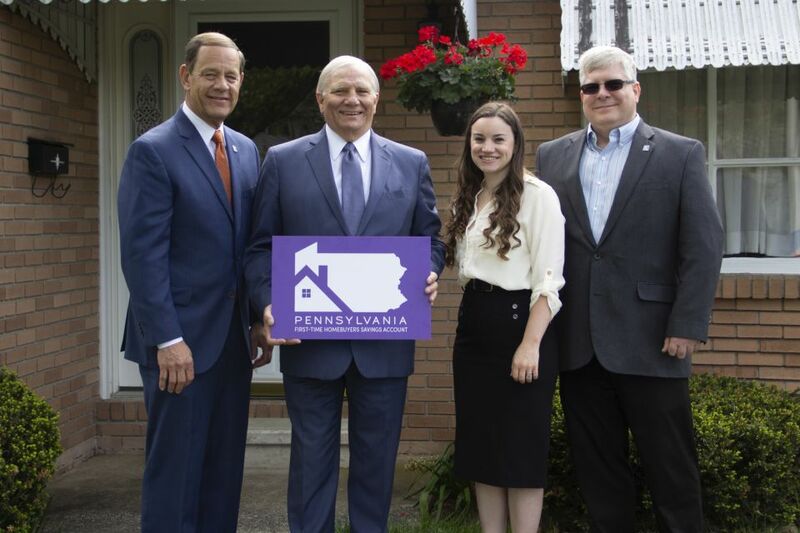 May 10, 2018 - Senator Mensch held a press event with the PA Realtors to discuss his First Time Homebuyers Savings Account legislation. 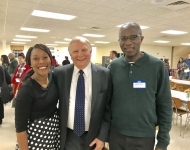 Since the 2009 financial crisis, the number of first-time homebuyers has decreased significantly. 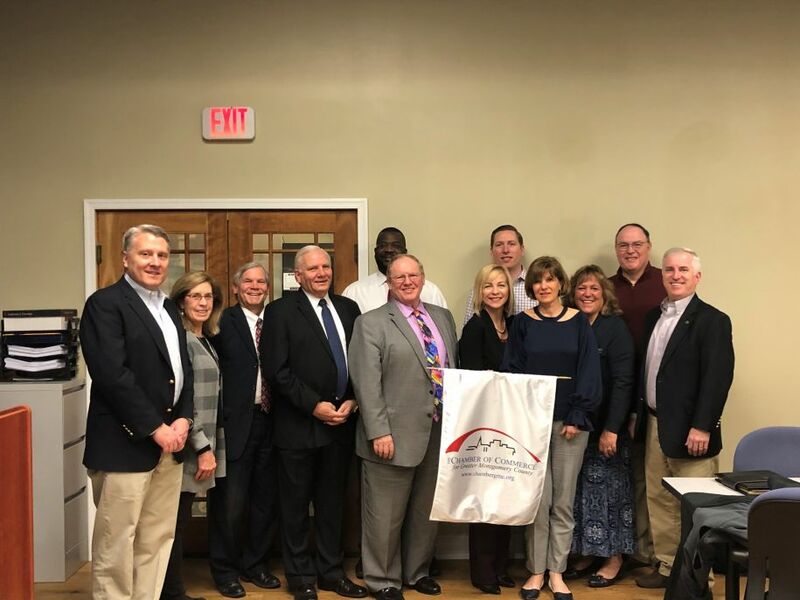 According to the National Association of Realtors®, the share of first-time homebuyers in the national home sale market has fallen from 45 percent to just 32 percent. 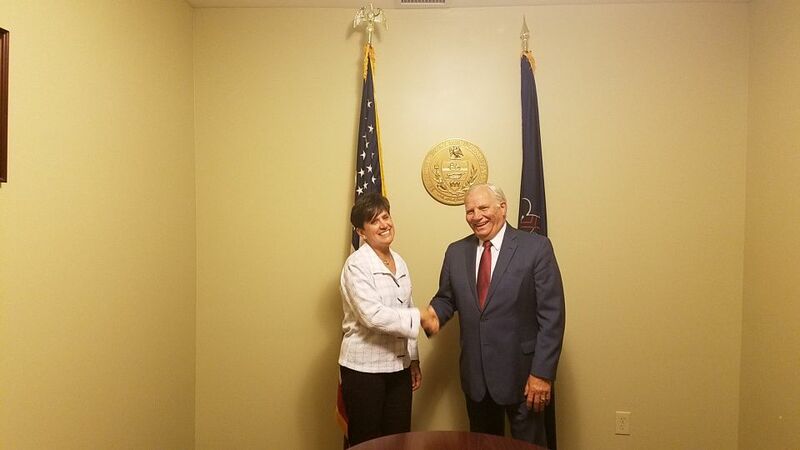 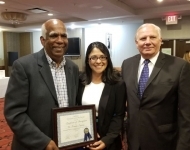 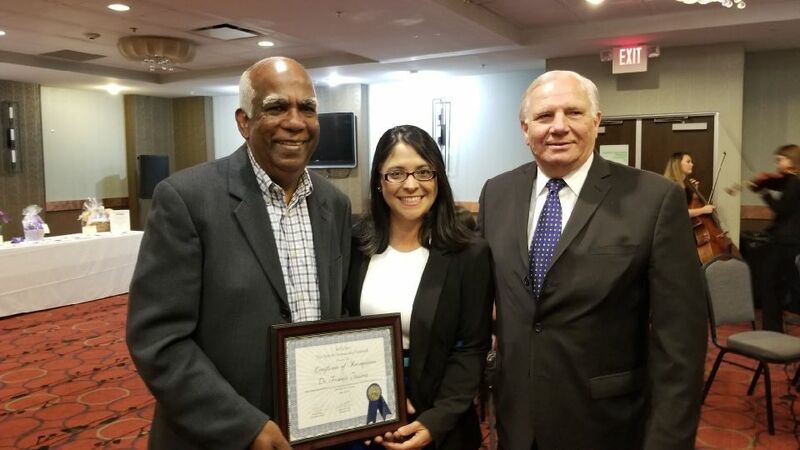 May 9, 2018 - Senator Mensch congratulated Ms. Estelle Eberhardt, from Milford Township, PA, on being appointed to the Minority Business Development Authority Commission. 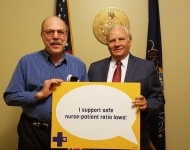 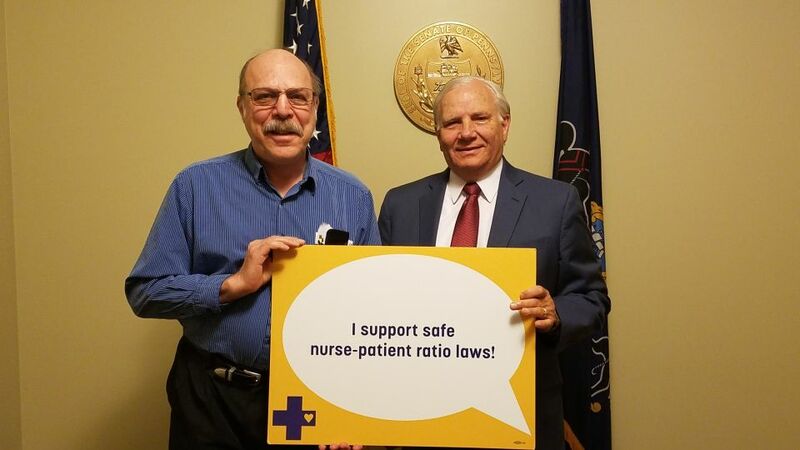 May 9, 2018 – Senator Mensch appreciated the opportunity to meet with Gary Margulis to discuss nurse to patient ratios. 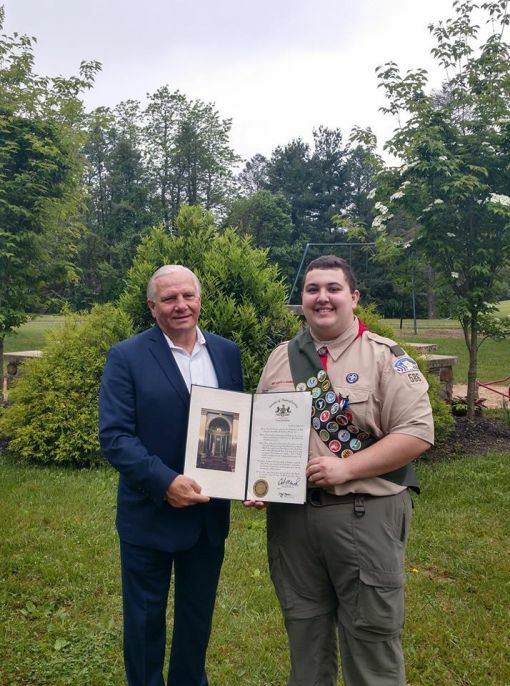 May 6, 2018 - Senator Mensch congratulated Michael Sexton on obtaining the rank of Eagle Scout. 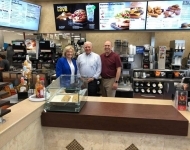 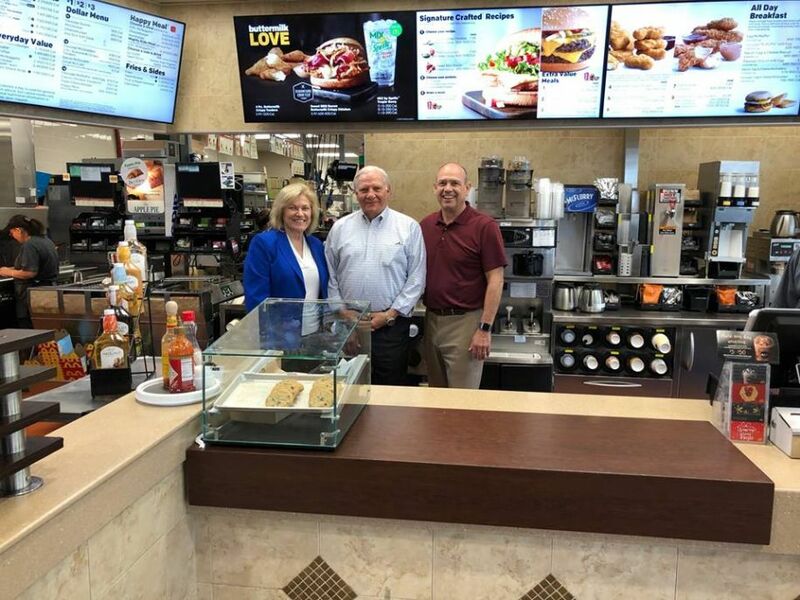 May 4, 2018 - Senator Mensch enjoyed touring the Pottstown McDonald's and the opportunity to meet with another great small business owner and discuss a variety of state-related matters. 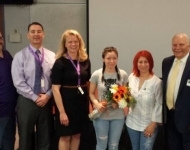 May 2, 2018 - Senator Mensch congratulated Crysta O’Donnell from Palisades High School on winning second place in the “Talk To Your State Senator” video competition. 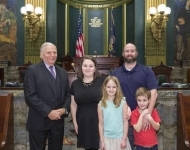 Crysta will receive a $1,500 award which will be deposited into a TAP 529 college savings account in her name. 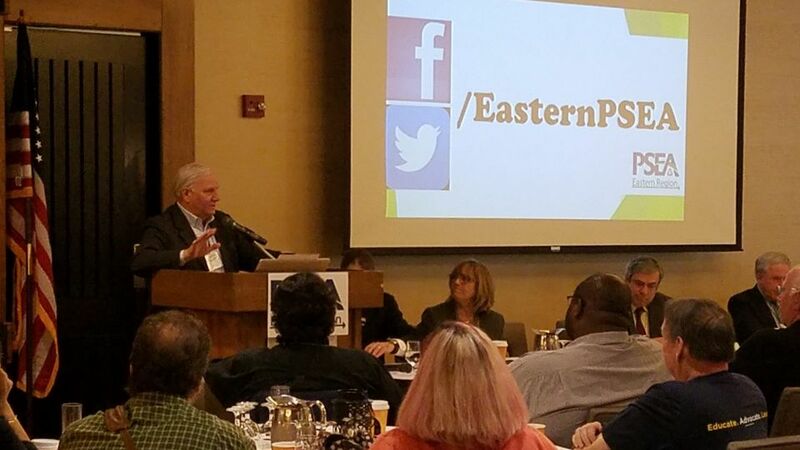 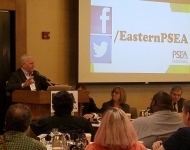 April 28, 2018 – Senator Mensch appreciated the opportunity to speak at the PSEA - PA State Education Association's Legislative and Education breakfast. 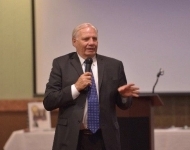 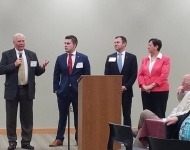 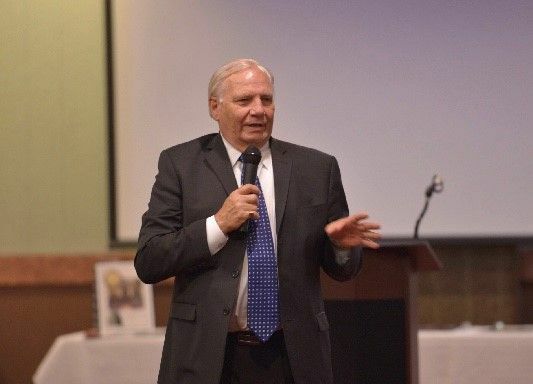 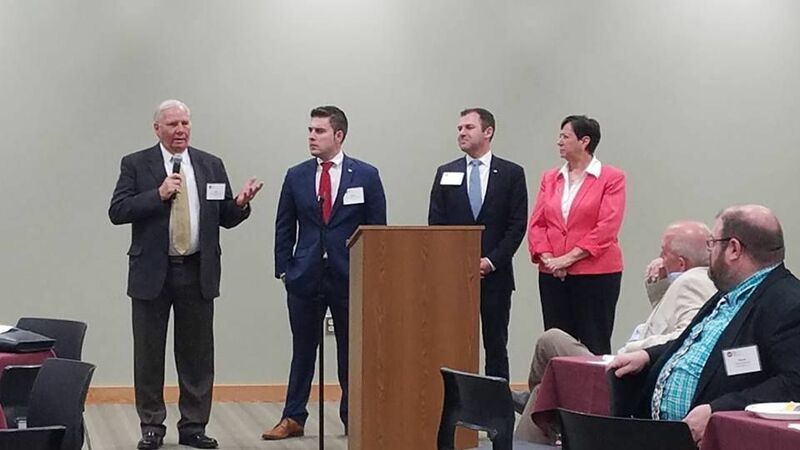 April 27, 2018 – Senator Mensch enjoyed the opportunity to speak at the Upper Buck Chamber of Commerce’s State of the State about state matters. 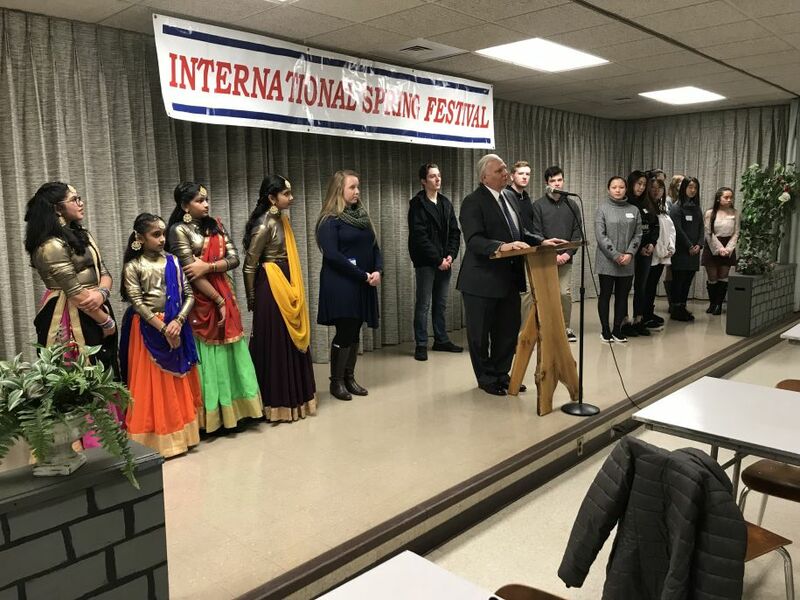 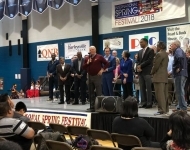 April 21, 2018 - Senator Mensch enjoyed the opportunity to attend the International Spring Festival. 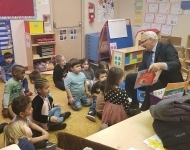 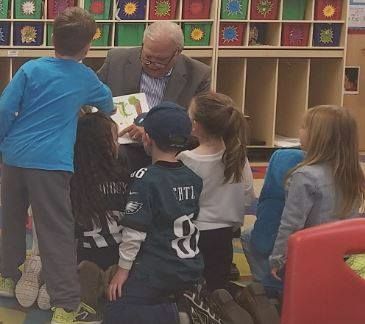 April 19, 2018 - Senator Mensch enjoyed reading to students at LifeSpan School and Daycare in East Greenville. 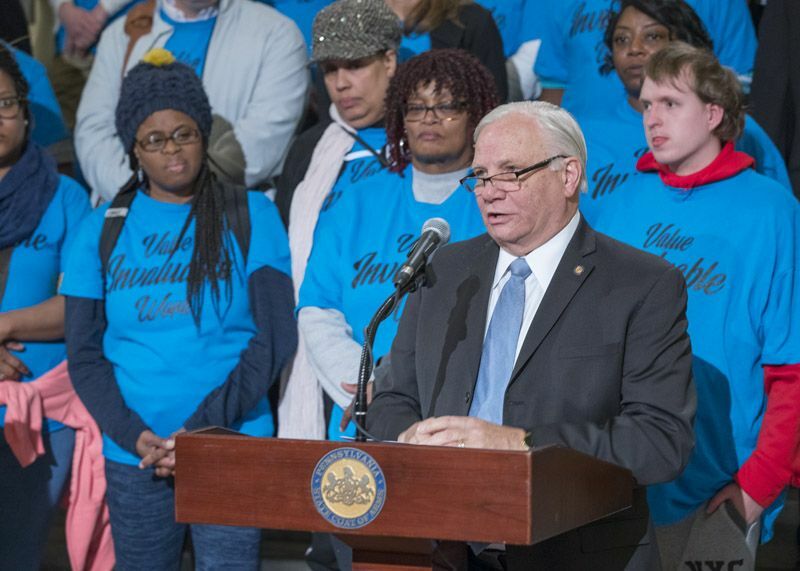 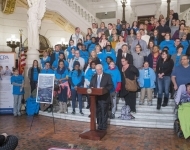 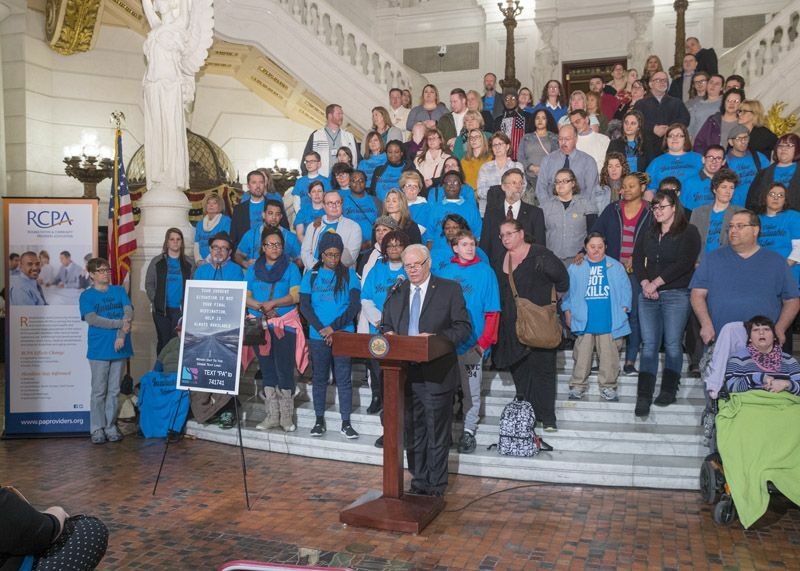 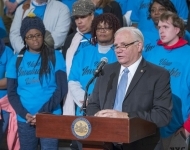 April 18, 2018 - Senator Mensch appreciated the opportunity to speak at the Rehabilitation and Community Providers Association Press Conference and Rally about his SB 21 which is designed to promote the employment of people with disabilities at competitive wages in Pennsylvania businesses and public agencies. 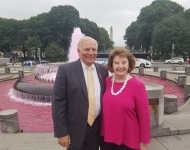 April 13, 2018 - Senator Mensch and Senator Dinniman held a press conference at Merck to announce the 21st Century Manufacturing Innovation and Reinvestment Deduction Act. 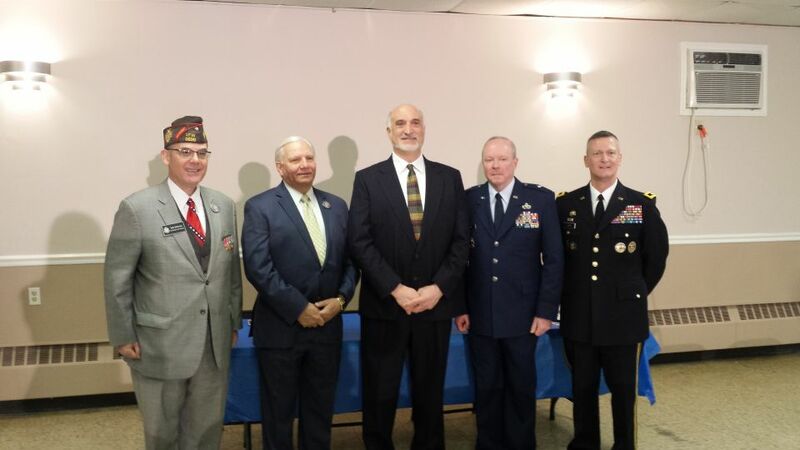 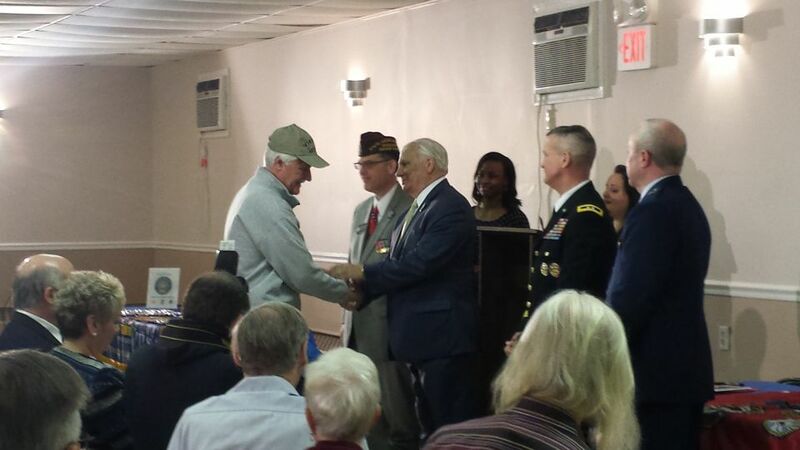 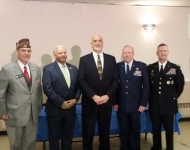 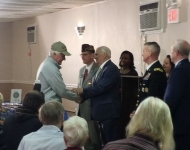 April 12, 2018 - Senator Mensch sponsored a ceremony honoring U.S. Vietnam War Veterans on April 12, 2018 at the Red Hill Fire Company Banquet Hall. 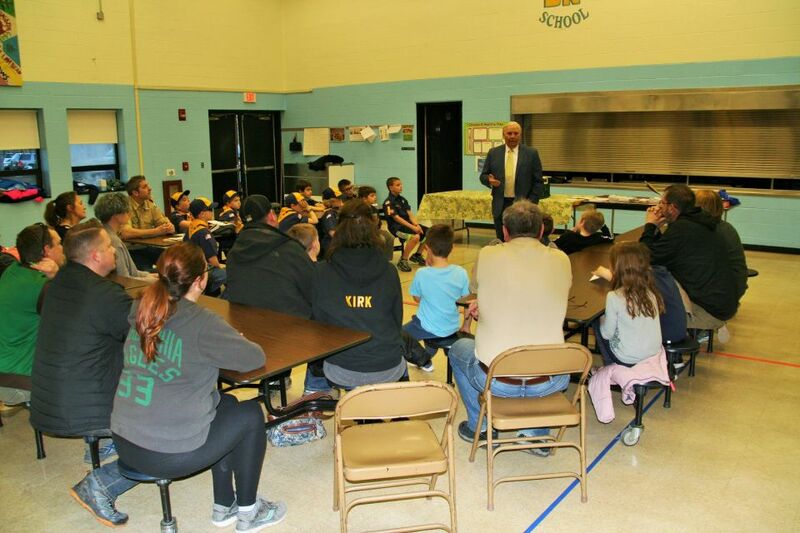 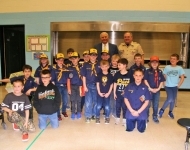 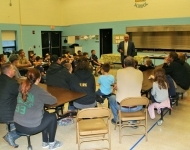 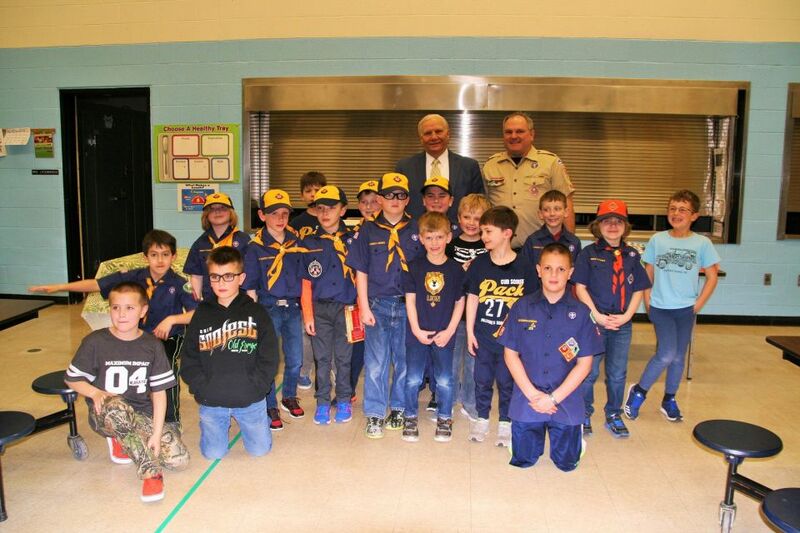 April 5, 2018 - Senator Mensch appreciated the opportunity to speak to the Cub Scout Pack 27 at Durham-Nockamixon Elementary School. 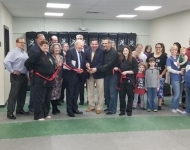 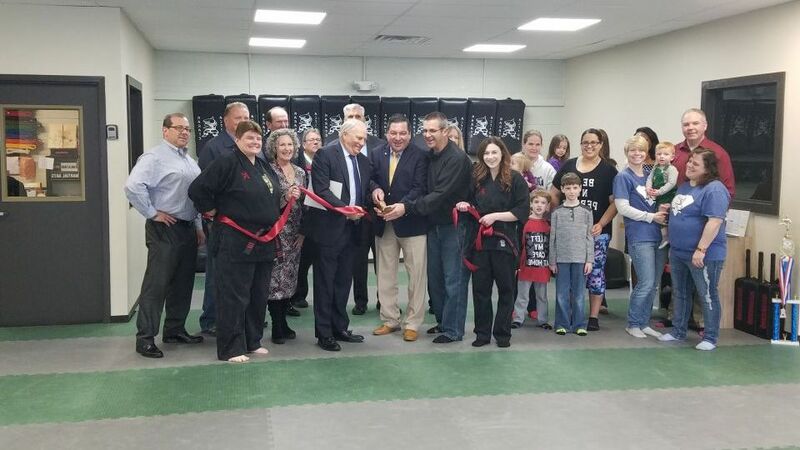 April 3, 2018 - Senator Mensch attended the ribbon cutting for Action Karate in Quakertown who celebrated their grand opening. 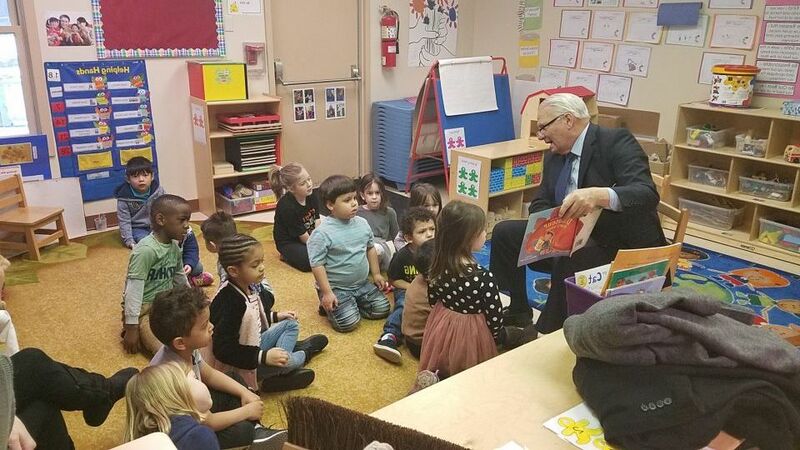 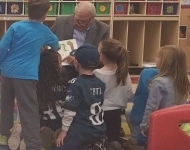 April 3, 2018 - Senator Mensch read to students at LifeSpan School and Daycare in Quakertown. 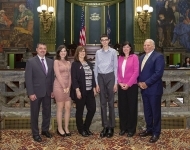 March 27, 2018 - Senator Mensch introduced a resolution designating April 8-14 as "Crime Victims' Rights Week". 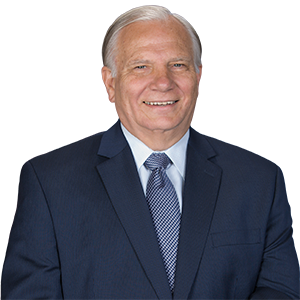 Nearly 16 million Americans were victimized by crime in 2016, 5.7 million of whom were victims of violent crime. 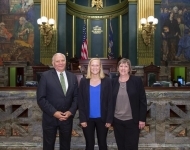 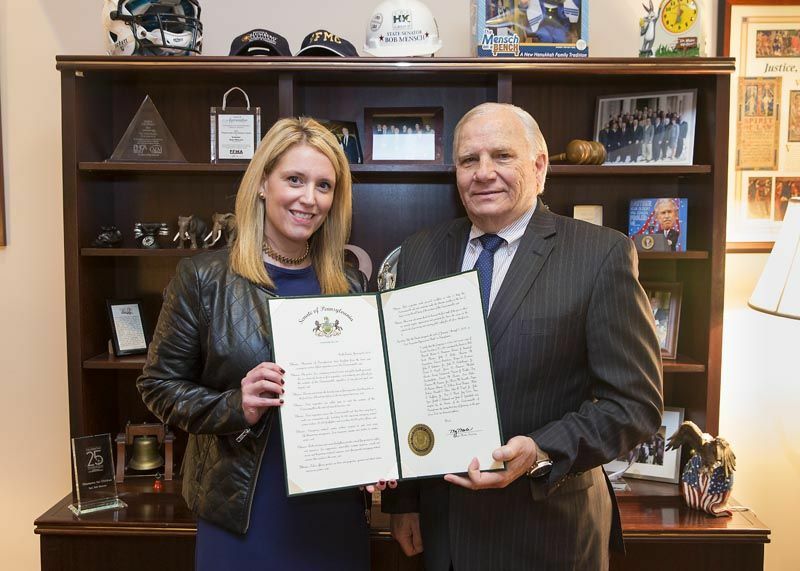 Senator Mensch appreciated the opportunity to take a picture with Jennifer Riley, State Director from Marsy's Law for Pennsylvania, to commemorate this resolution. 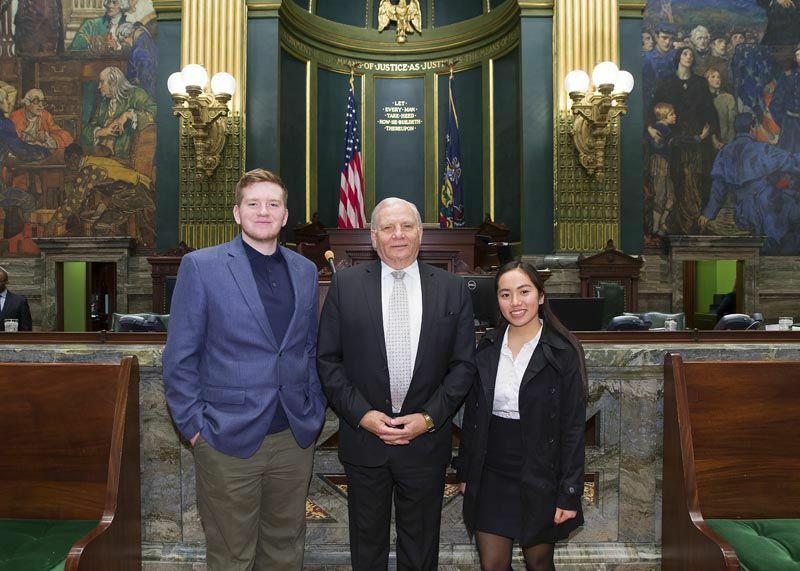 March 19, 2018 - Senator Mensch welcomed Mr. Zach Whitehair and Ms. Alyssa Choing to the Pennsylvania Senate. 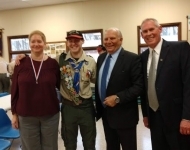 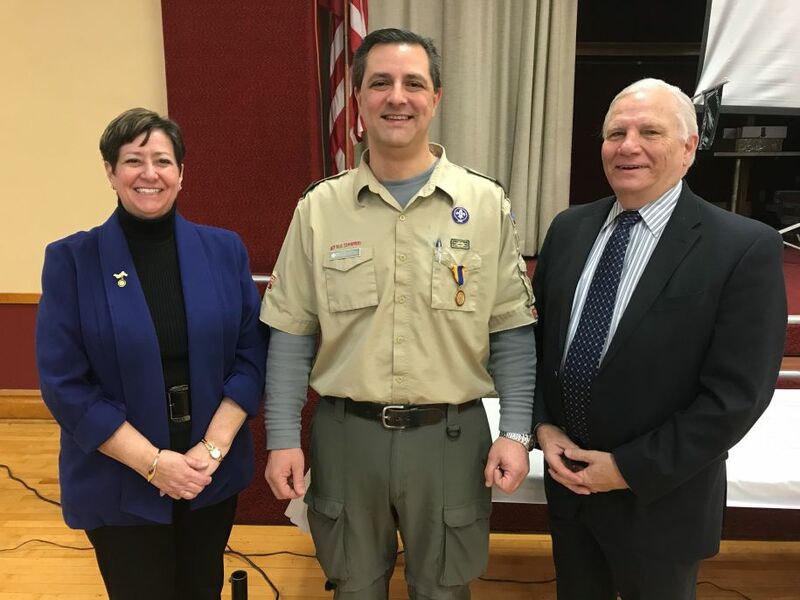 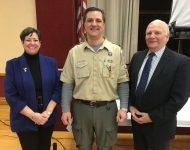 March 18, 2018 - Senator Mensch congratulated Mr. Eric Olden along with PA State Rep. Marcy Toepel on his Eagle Scout Court of Honor. 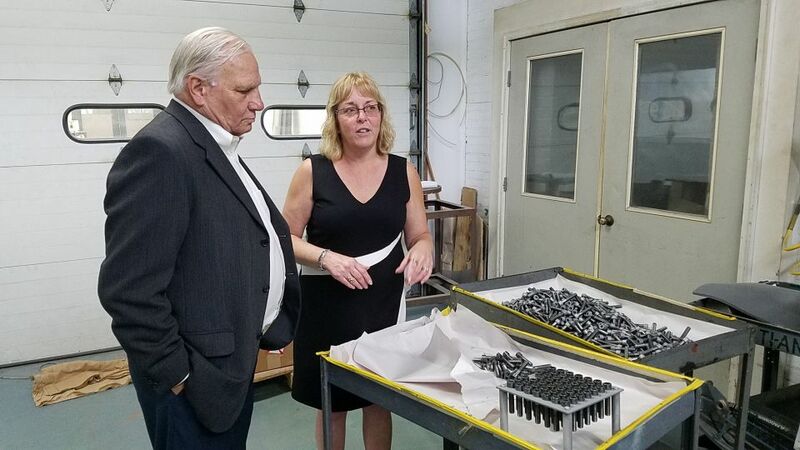 March 16, 2018 - Senator Mensch and Senator Dinniman visited Precision Polymer Products in Pottstown, PA to hold a press conference on the 21st Century Manufacturing Innovation and Reinvestment Deduction Act initiative. 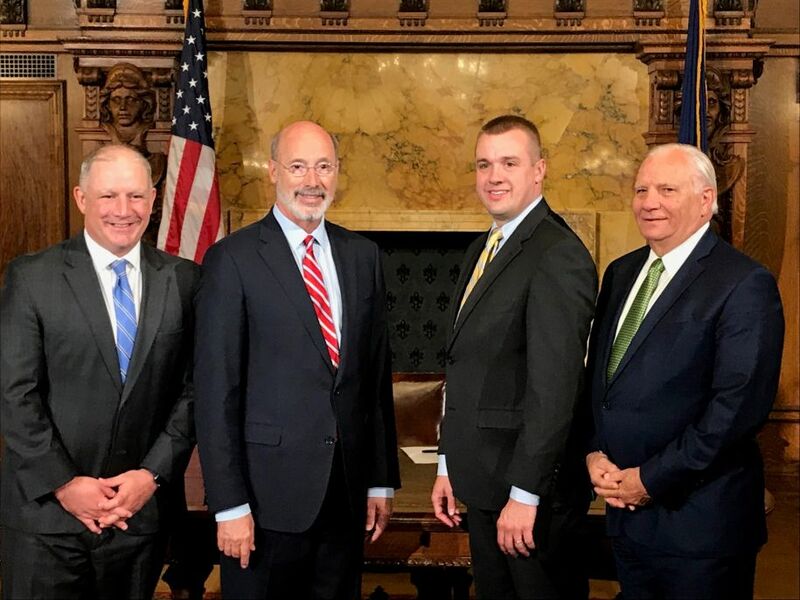 The measure provides an incentive to Pennsylvania manufacturers to make large-scale investments to increase or establish manufacturing capacity within the Commonwealth. 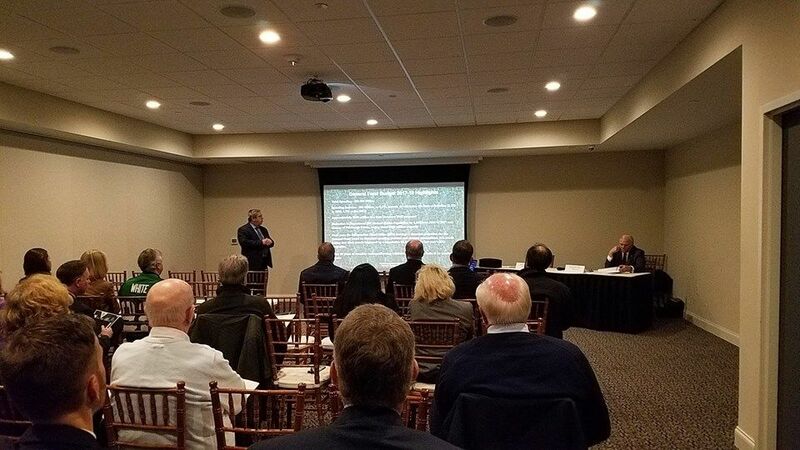 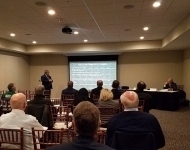 February 16, 2018 - Senator Mensch enjoyed the opportunity to speak with members from The Chamber of Commerce for Greater Montgomery County about various budget and state-related issues. 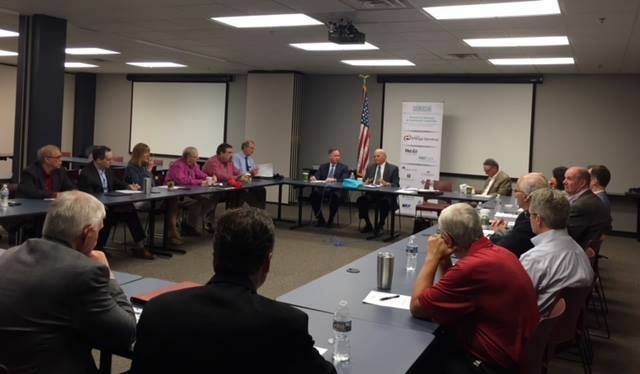 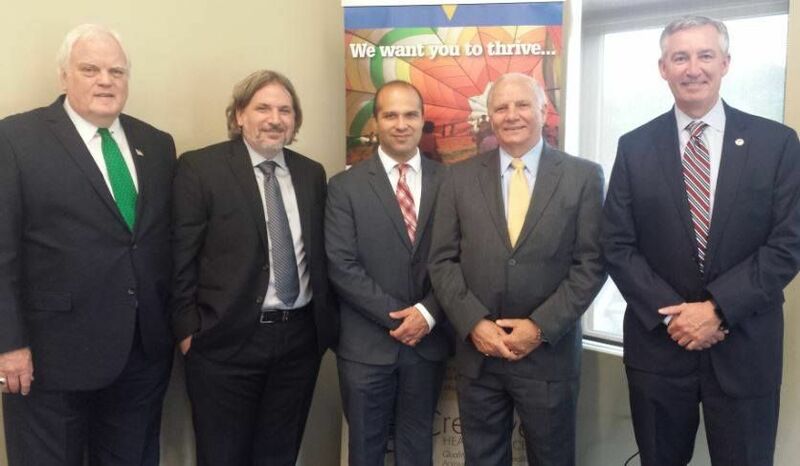 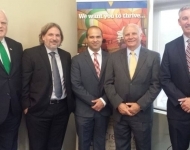 February 1, 2018 - Senator Pat Browne and Senator Bob Mensch held a successful round table discussion which focused on economic development in Pennsylvania. 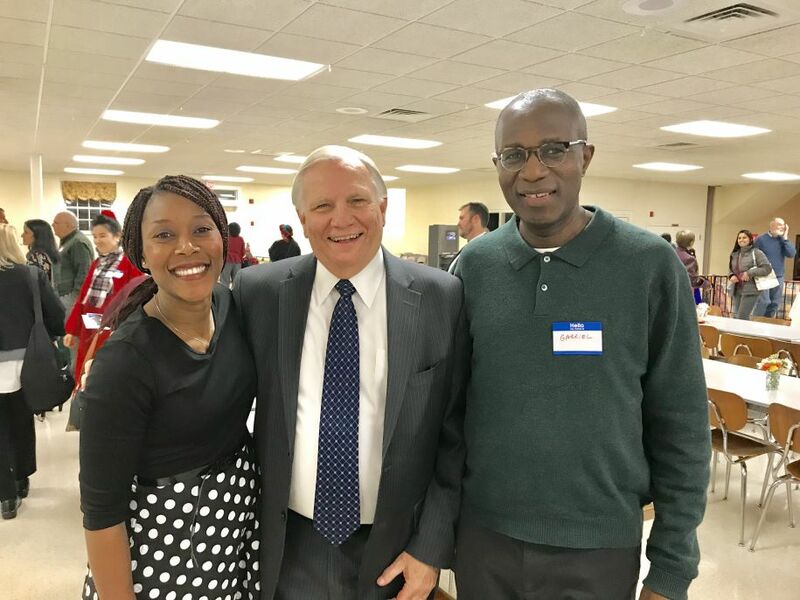 January 25, 2018 - Senator Mensch was pleased meet Ms. Nikki Johnson-Huston, Mrs. Montgomery Count PA America 2018, at the Pottsgrove NAACP meeting. 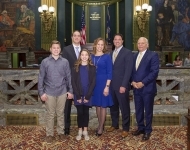 January 24, 2018 - Senator Mensch was pleased to welcome the O’Donnell family to Harrisburg. 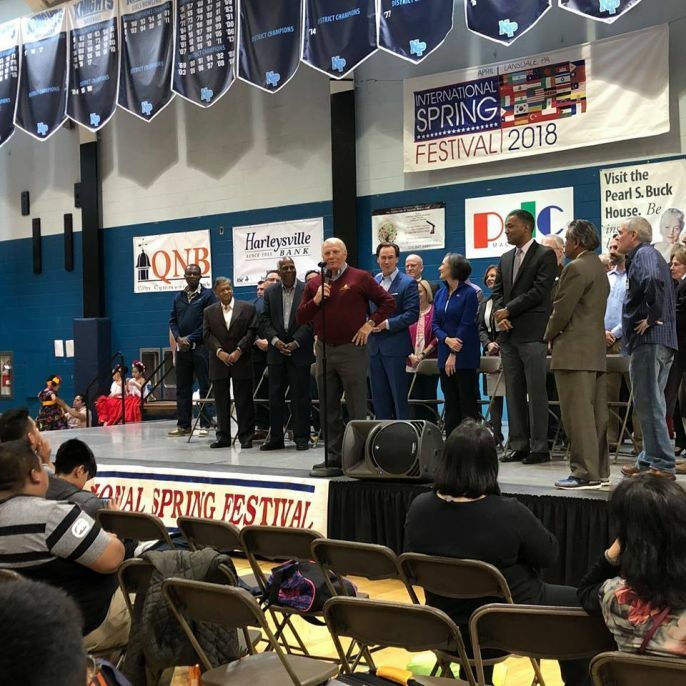 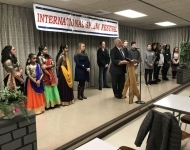 January 10, 2018 - Senator Mensch participated in the 27th Annual International Spring Festival's Kick-Off Celebration at Dock Mennonite Academy High School. 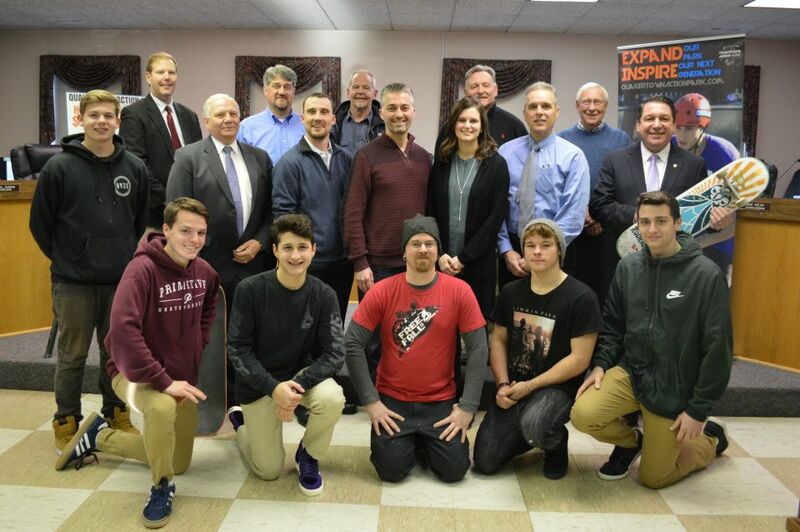 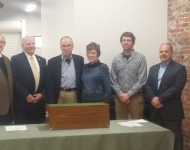 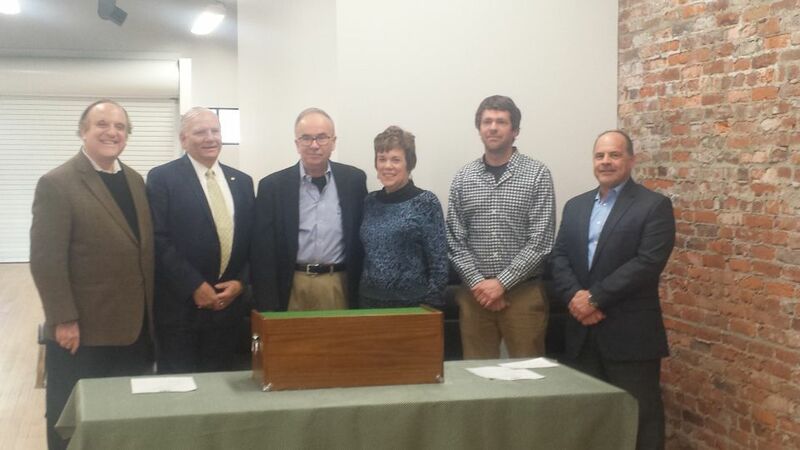 January 3, 2018 - Senator Bob Mensch and Representative Craig Staats held a press conference to highlight two grants that Quakertown Borough received to revitalize and improve Quakertown Main Street Skatepark.